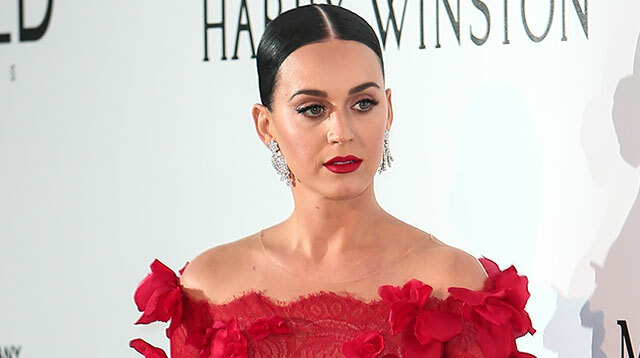 Katy Perry, who has been dating British actor Orlando Bloom since February, has one major complaint about the relationship—the time it takes her to get to his beachside home in Malibu. Katy, who lives nearly an hour away in the Hollywood Hills, tells Women's Wear Daily it took her a while to handle the traffic chaos en route to her man, saying, "My boyfriend lives in Malibu and getting used to that drive was like, 'Are you kidding me? What kind of life is this?'" She continues, "There's no pop-over and I never really got used to Malibu because it's halfway to (her hometown) Santa Barbara, so I’m always just going to Santa Barbara. I get the whole coming to L.A. and living by the beach thing... but it’s so far, nobody who lives in town is going to come see you." The mention of the ocean-side city where she grew up took Katy back to her childhood, and she reveals she didn't get to enjoy the best parts of Santa Barbara as a kid because her family was so poor—and she lived in an area no tourist would want to visit. "I grew up in the poorest part of Santa Barbara," Katy says. "People associate it (Santa Barbara) with the French Riviera, almost Monte Carlo, like beautiful American rich people, and we were like super-poor. Actually my boyfriend didn't even believe me and I was like, 'I'm going to drive you by my house'." Katy, whose parents are pastors, continues, "I basically had a crazy church-filled, God squad upbringing. I lived on food stamps and a food bank in Santa Barbara, which is like a crazy juxtaposition to live in beauty and still have a bit of a struggle, but that’s just because of the nature of the church." But she insists she still has love for her hometown, adding, "I make a lot of music there because it’s only an hour and 15 minutes away from L.A. at the right times and the energy level is so dramatically different—people, priorities, community, connection. I also have a local thing where they’re, like, 'Oh, you’re one of us. You just went out and hustled, but you’re still one of us'."